Originally intended as a military transport near the end of World War II, it was reworked after the war to compete with the Lockheed Constellation in the long-range commercial transport market. More than 700 were built and many still fly today in cargo, military and wildfire control roles. The United States Army Air Forces commissioned the DC-6 project as the XC-112 in 1944. The Army Air Forces wanted an expanded, pressurized version of the popular DC-4 based C-54 Skymaster transport with improved engines. By the time the renamed XC-112A flew, the war was over and the USAAF had rescinded its requirement. Douglas converted its prototype into a civil transport (redesignated YC-112A, having significant differences from subsequent production DC-6 aircraft) and delivered the first production DC-6 in March 1947. However, a series of mysterious inflight fires (including the fatal crash of United Airlines Flight 608) grounded the DC-6 fleet later that year. The cause was found to be a fuel vent located adjacent to the cabin cooling turbine intake. All DC-6s in service were modified to correct the problem and the fleet was flying again after just four months on the ground. In April 1949 United, American, Delta, National and Braniff were flying DC-6s in the United States. United flew them to Hawaii, Braniff flew them to Rio de Janeiro, and Panagra flew Miami-Buenos Aires; KLM, SAS and Sabena flew DC-6s across the Atlantic. BCPA DC-6s flew Sydney to Vancouver and Philippine flew Manila to London and Manila to San Francisco. Pan Am used a fleet of DC-6B aircraft to start trans-Atlantic tourist class flights in 1952. Several European airlines quickly followed with their own transatlantic services. The DC-6A/B/C sub-types were capable of non-stop flights from the eastern US to Europe but normally needed to refuel in Newfoundland when westbound against the wind. Douglas designed four variants of the DC-6: the basic DC-6, and the longer fuselage, higher-gross-weight, longer range versions—the DC-6A with large cargo doors forward and aft of the wing on the port (left hand side) with a cargo floor; the DC-6B, designed for passenger work, with passenger doors only and a lighter floor; and the DC-6C convertible, with the two cargo doors and removable passenger seats. The DC-6B, originally powered by Double Wasp engines with Hamilton Standard 43E60 constant speed reversing propellers, was regarded as the ultimate piston-engine airliner from the standpoint of ruggedness, reliability, economical operation and handling qualities. The military version, similar to the DC-6A, was designated the USAF C-118 Liftmaster; the USN R6D version used the more powerful R-2800-CB-17 engines. These were later used on the commercial DC-6B to accommodate international flights. The R6D Navy version (in the late 1950s and early 1960s) had Curtiss Electric constant-speed reversing propellers. The USAF and USN renewed their interest in the DC-6 during the Korean War, and ordered a total of 167 C-118/R6D aircraft, some of which later found their way into civilian service. Harry Truman's first presidential aircraft was an Air Force short fuselage DC-6 which was designated VC-118, and named "The Independence". It is preserved in the National Museum of the United States Air Force at Dayton, Ohio. 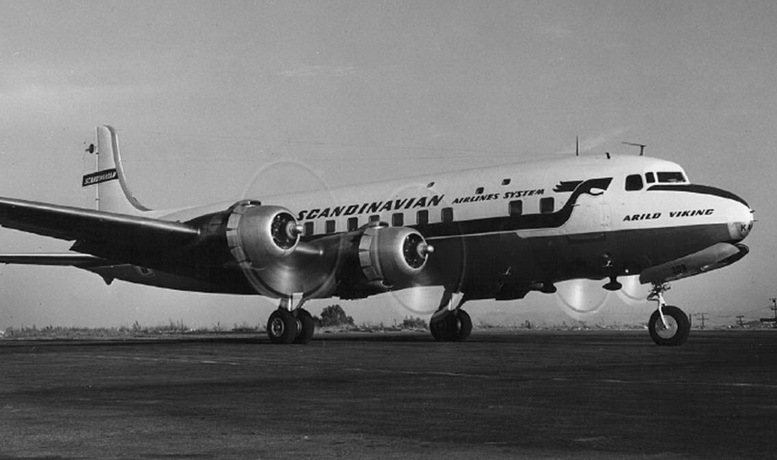 Total production of the DC-6 series was 704, including military versions. Many older DC-6s were replaced in airline passenger service from the mid 1950s by the Douglas DC-7, but the simpler, more economical engines in the DC-6 has meant that the type has outlived the more sophisticated DC-7, particularly for cargo operations. DC-6/7s surviving into the Jet Age were replaced in front line inter-continental passenger service by Boeing 707 and Douglas DC-8 aircraft. 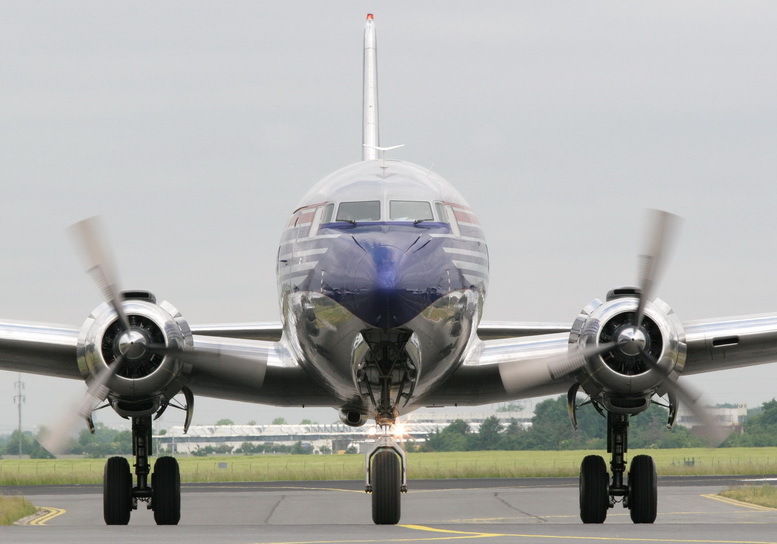 2006 marked the 60th anniversary of the introduction of the DC-6. Basic prices of a new DC-6 in 1946-7 was around £210,000-£230,000 and had risen to £310,000 by 1951. By 1960 used prices were around £175,000 per-aircraft. 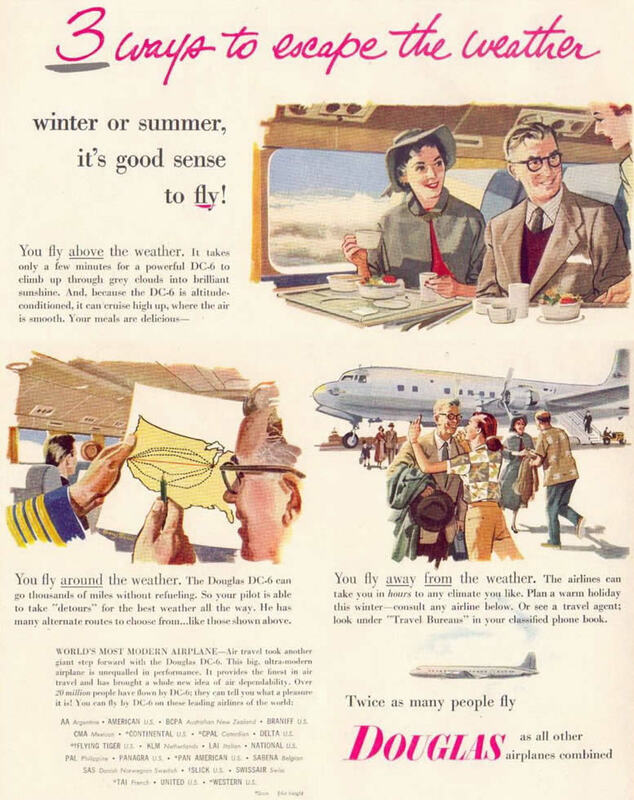 Prices for the DC-6A in 1957-8 were £460,000-£480,000. By 1960 used prices were around £296,000. The equivalent prices for the DC-6B in 1958 were around £500,000. Used prices in 1960 were around £227,000.